So I have the Tony Moly Petite Cotton BB Cream SPF35 PA++ in Honey Beige for quite some time and I honestly have been raving about this BB Cream for this specific brand and imagine my surprise when I realized I haven't posted any review yet! Thankfully, they also have a Dark Beige variant so users who have darker complexion can FINALLY try a Korean Brand BB cream! Comes in 2 or 3 shades I believe. Consistency is perfect! Not too thick or runny. Can blur out certain skin imperfections and even out the skin. Can lessen the look of redness. Long-wearing. Once set properly, almost no need for retouch. Non-drying even for users who have extremely dry complexion. May not be available in all stores! Tried checking their online site and I can't find them anymore though I can still find the tube on certain Tony Moly branches. 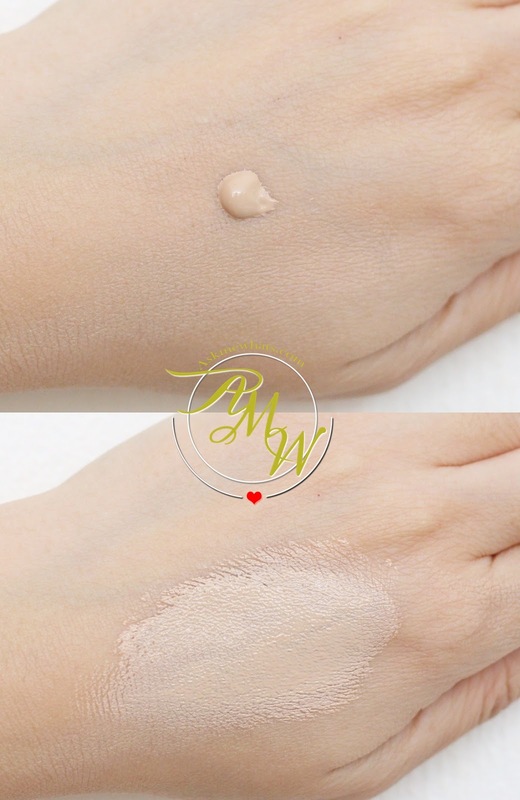 A BB Cream that has choice of shades and doesn't appear too white. Gives a good amount of coverage and lasts almost the whole day if set properly. Best applied using clean fingers. For lesser coverage, use a brush in application. Use more on areas that needed more coverage with a dabbing motion. If staying under the sun for long, use your preferred sunblock prior to BB cream application. A little goes a long way. Try not to apply too much in one go. Best for users with normal, oily and combination skin. Dry-skinned users can still use this but need to moisturize properly. Priced at Php398.00 (approx $9.00) available at Tony Moly stores near you. Thankfully, the Tony Moly Petite Cotton BB Cream is wrapped and sealed well upon purchase. Comes with a protective silver foil for double protection. Honey Beige is a perfect shade for me! What I would normally do is apply dots all over the face and gently blend using my favorite Oval Face Brush From Etude House. I usually blend using small circular motion for better coverage with brush "lightly" touching on skin. DO NOT rub too hard as you'll end up exfoliating your skin thus skin may appear dry and flaky. Can you see the even coverage? At the same time, my skin looks extremely healthy! Overall, I am impressed with Tony Moly's Petite Cotton BB Cream! This goes FIRST then BCDation comes next! What's your favorite Tony Moly base product? I love this too and they also have a mini powder compact to set that BB with :D This BB is very morena friendly. ah yeah! I think I got mine somewhere! OO nga no! thanks for the reminder! ang cute nga niya! nagulat ako ang ganda ng coverage niya! HOW ARE YOU? it was great catching up with you during Himawari event!